This past Friday, the State Department announced that it will remove the Mujahedin-e Khalq (MEK) -- a fringe Iranian dissident group that has been criticized for its cultish practices -- from its list of terrorist groups. The State Department may have satisfied a court-imposed deadline and could help the group's members escape their current stateless limbo, but the decision will enable the MEK to put more effort into pushing the United States toward war with Iran in its campaign to become the new government in Tehran. The court's deadline comes from a lawsuit brought by the MEK arguing that its designation as a foreign terrorist organization (FTO) -- which it has held since 1997 -- is no longer appropriate because it claims to have abandoned violence in 2002; in 2003, when its members in Iraq were disarmed by the U.S. military, the group signed documents promising to use only peaceful means of protest to advocate for its goals. In June, the U.S. Court of Appeals for the D.C. Circuit gave Secretary of State Hillary Clinton until October 1 to decide whether the group still belonged on the list or the court would delist the group. Whether the MEK still belongs on the FTO list presents a legal question. If it has abandoned violence -- including the capability and intent to commit terrorism -- then perhaps it's earned removal. The group's many critics point to rumors that the MEK has been collaborating with the American and Israeli militaries and intelligence services (for example, here). But the FTO statute counts only terrorism or terrorist activity that "threatens the security of United States nationals or the national security of the United States"; even if unsubstantiated rumors about MEK's collaboration with the U.S. military are true, they would not qualify the MEK for FTO status under the statute. This highlights the problem: The law as written gives a pass to groups whose activities are viewed as useful to the United States, just as it could fail to apply to unsavory groups that do not pose a danger to the country. Aside from highlighting problems with the way U.S. law classifies terrorist organizations, the MEK decision creates a few practical problems. First, though, let's look at two potential benefits. The Iraqi government wants the MEK out of the country -- in part because it is close to the Tehran regime and in part because Iraqi Kurds and Shias despise the MEK for helping Saddam Hussein suppress their uprisings after the 1991 Gulf War. Iraq has demonstrated an unwillingness to respect its responsibility under international law to protect people who are essentially refugees; Iraqi security forces killed some 49 members during clashes with the group after the United States turned responsibility of Camp Ashraf over to the Iraqi government in 2009. The MEK can't just be sent home to Iran because it is a crime to be a member of the group there. They need to go somewhere else, but no country was willing to welcome MEK members so long as the group was on the U.S.'s FTO list, and the MEK wouldn't cooperate in the resettlement process until the State Department held out the carrot of delisting. This decision brings some hope, however limited and tenuous, that they may be able to find new, permanent homes, bringing an end to their stateless limbo. Those are the potential benefits. Now we turn to the problems with the decision. In light of the unprecedented lobbying effort made to get the MEK delisted, in which prominent former officials received tens of thousands of dollars to speak on the group's behalf, it looks highly politicized. The MEK will make it look like delisting was a symbol of U.S. approbation. With regards to our complicated relationship with Iran, Tehran will see the decision as -- in the words of CIA veteran and Georgetown University professor Paul Pillar -- "one more indication that the United States is interested only in hostility and pressure toward the Islamic Republic, rather than coming to terms with it." Some fear that it will undermine American credibility as a force for democracy in Iran (to the extent that the U.S. has such credibility). The most significant concern is how it will unleash the MEK to further ratchet up the probability of violent conflict with Iran. As I have written here and here, the MEK has had two major goals: an immediate one of getting off the FTO list and a long-term one of taking power in Tehran (it already has a "parliament in exile" and a "president-elect" in its National Council of Resistance of Iran). Now that it has accomplished its short-term goal of getting off the list, it can focus on its core objective. If the MEK were really what it claims to be -- "the largest peaceful, secular, pro-democratic Iranian dissident group" and it didn't need our help -- we wouldn't need to worry much. But it's not. The MEK has almost no support among the Iranian people, who vilify the group for signing up with Saddam Hussein, killing Iranians, and then becoming a cult -- or see it as a joke. There are only two ways that the MEK could achieve its goal: money or arms. Both options would likely involve the United States, and it is hard to imagine the MEK getting into power by money alone. The MEK has been pumping up fears of Iran for years. I don't want to discount the risks of Iran building a nuclear weapon someday, but the MEK plays up the issue for its own uses. 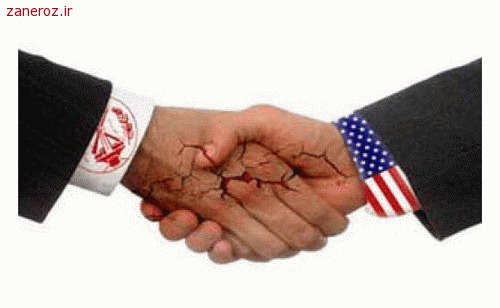 The MEK will continue to encourage fear of Iran on Capitol Hill, maintain its ongoing public-relations campaign that promotes wildly exaggerated fears of Iran among the American public, and likely offer its services as a proxy-force ally against Iran, as it has for years. We should worry that removing the MEK from the FTO list will open the door to a repeat in Iran of what we experienced in Iraq thanks to the embrace of Ahmed Chalabi and his Iraqi National Congress. It started with us funding the Iraqi emigre banker-turned-politician, and it ended with us invading Iraq and putting him in charge of the interim governing council. Even if it was just a relatively small bunch of neocons in the Bush administration and Congress who bought Chalabi's rosy picture of having huge support in Iraq and a ready-made government, it wasn't as if the rest of Congress or the media put a stop to their push for war. It was more like full speed ahead. More important, the U.S. government should not engage with the MEK going forward. Congress should ignore the group. Some officials will inevitably think that working with the MEK makes sense or is convenient. They will be wrong. The White House should consider making it policy for the government not to fund, employ, or otherwise collaborate with the group. The MEK is not our ally. Its interests are its own, not ours. The State Department's decision may be legally sound, and it's good to help MEK members find a new home, but when it comes to American policy, the group is not to be trusted. To quote Ambassador John Limbert, former embassy hostage and the first deputy assistant secretary of state for Iran, the MEK has "a very dubious history and a similarly dubious present." Let's have nothing to do with its dubious future.